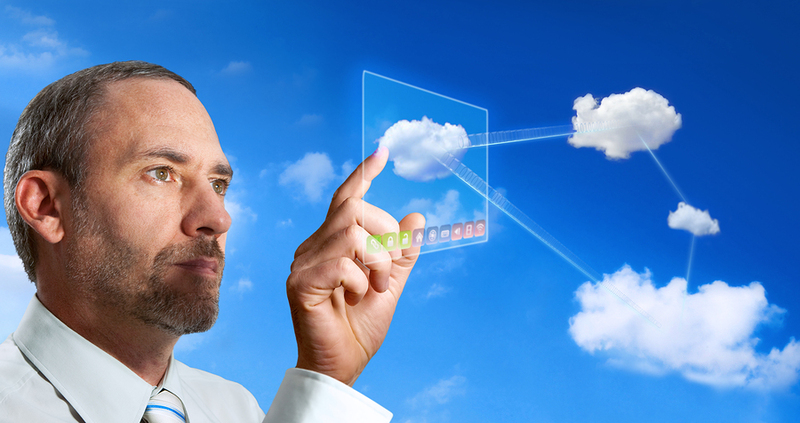 Hosted Virtual Desktop is a new form of desktop computing. It removes the need for physical desktop PCs in the office environment and reduces the cost of providing applications and computing services that you need. A hosted desktop looks and behaves like a desktop PC, but the software and data you use are hosted in our data centres and streamed securely to wherever you are. You access your hosted desktop securely over an internet connection from an existing PC or laptop, IPAD or thin client. 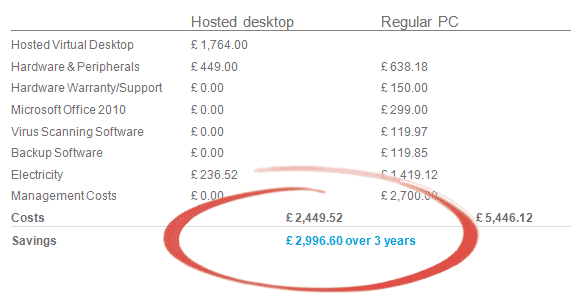 How do hosted desktops save money? For businesses of any size, the current economic climate is proving challenging but particularly so for small to medium-sized enterprises. In order to survive in these uncertain times, flexibility and adaptability are key qualities. Change needn’t be difficult, expensive or time-consuming and streamlining your business processes could be one of the best things you ever do. Hosted desktops remove the burden of managing individual desktop environments in-house, leaving you to concentrate on growing your business. Information is stored in our secure data centres and delivered over the internet, so your own, fully customisable desktop can be accessed wherever you are, whenever you want. It is exactly the same as using a PC, simply plug into your broadband connection and you’re ready to go. With budget cuts seemingly an inevitable fact of life these days, many organisations are recognising the cost benefits of moving to cloud computing services. With only a simple monthly charge per desktop, you can scale your provision up or down as needed. Rising energy costs, combined with government-imposed financial penalties on carbon production, make cutting your power consumption a vital consideration. Centralisation of computing resources is a way to cut power consumption, meaning you will use only 10% of the power a normal PC does. Do more with less - fight waste and reduce overheads. We look after the software, so no management is needed. Pay only for the resources you use and scale your IT provision up or down almost instantly. Time = money, so this simple, instant IT provision saves both. Cyber-crime is on the rise - identity theft, fraud etc. Hosted desktops let you keep on top of the latest security developments without having to buy expensive new software.